During childhood summers on the sunstruck Isle of Wight in the years before the First World War, Billy is entranced by Karin, the elusive daughter of a German-Jewish industrialist. Reunited on a Frankfurt estate in that war’s hungry aftermath, Karin and Billy become fascinated with tribal rituals found in the Wild West stories of Karl May, whose Winnetou tales are among the most popular books published in Germany. Coming of age in Frankfurt and Berlin, Karin and Billy share a passion for speed, jazz, and nightclubs. They also share a fantasy of escape—from darkening Germany, from history—to El Llano Estacado, the high plains of Texas and New Mexico, vividly reimagined in May’s fiction. Intriguing characters braid this intricate and harrowing story together, from golden Edwardian summers to London under Zeppelin attack, Ireland on the brink of its War of Independence, and Germany collapsing into the Hitler era. As a society loses its civic and moral bearings, a childhood friendship deepens into a love affair with extraordinarily high stakes. 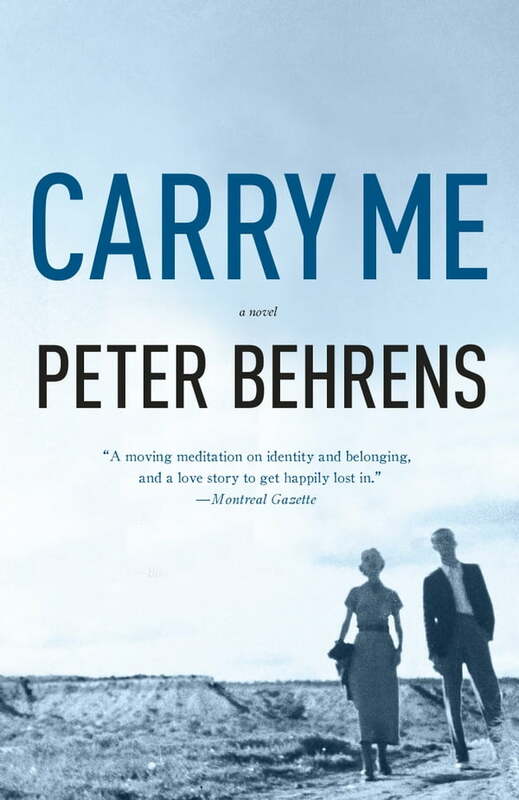 Brilliantly conceived and elegantly written, Carry Me is an epic for grown-ups, an unusual love story, and a lucid meditation on Europe’s violent twentieth century.